Before applying creams or lotions, get ahead of dry skin by washing with a product that's enriched with nature's most effective moisturizer (and its reliable after-sun treatment). 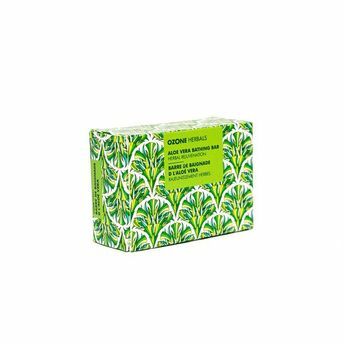 Daily use of our Aloe Vera Glycerin Soap will restore skin's pH balance, improve elasticity and even prevent scarring. With its antioxidant-rich formula and vitamins C and E, this soothing wash also reduces visible signs of aging.